We’d love your help. Let us know what’s wrong with this preview of Girls Like Us by Sheila Weller. Carole King, Joni Mitchell, and Carly Simon remain among the most enduring and important women in popular music. Each woman is distinct. Carole King is the product of oute A groundbreaking and irresistible biography of three of America's most important musical artists -- Carole King, Joni Mitchell, and Carly Simon -- charts their lives as women at a magical moment in time. Carole King, Joni Mitchell, and Carly Simon remain among the most enduring and important women in popular music. Each woman is distinct. Carole King is the product of outer-borough, middle-class New York City; Joni Mitchell is a granddaughter of Canadian farmers; and Carly Simon is a child of the Manhattan intellectual upper crust. They collectively represent, in their lives and their songs, a great swath of American girls who came of age in the late 1960s. Their stories trace the arc of the now mythic sixties generation -- female version -- but in a bracingly specific and deeply recalled way, far from cliche. The history of the women of that generation has never been written -- until now, through their resonant lives and emblematic songs. To ask other readers questions about Girls Like Us, please sign up. Great material, problematic execution. Weller is an incredibly undisciplined writer, at least in this book. There's excess detail that seems to serve no purpose beyond showing off--endless anecdotes about minor, or even unrelated people, as if to show how hard the author worked and how much she found out, whether or not it actually informed her story. And her sentence structure! Good lord, woman--INSERT A PERIOD EVERY NOW AND THEN. Because I was interested in the subject matter, I pushed through Great material, problematic execution. Weller is an incredibly undisciplined writer, at least in this book. There's excess detail that seems to serve no purpose beyond showing off--endless anecdotes about minor, or even unrelated people, as if to show how hard the author worked and how much she found out, whether or not it actually informed her story. And her sentence structure! Good lord, woman--INSERT A PERIOD EVERY NOW AND THEN. Because I was interested in the subject matter, I pushed through, cursing not so quietly under my breath, but I pity her poor editor. The excess in every way--material and execution--suggest a certain arrogance that I found tiresome. But perhaps I am reading too much into the situation--perhaps her editor didn't attempt to reign in the excess and focus her story. Perhaps s/he loved the material as much as Weller clearly does. Recommended to Robert by: New York Times. Boy were they wrong.. This book is so painful to read that I can't stand it. But I can never give up on a book after I have read more than 50 pages. The writing is dreadful. The '70s feminism is so tiresome. I bought it because I am interested in the music business of the '60s and 70s, but boy does this stink. Even if you are interested in Joni Mitchell, Carly Simon and Carole King, the bad writing will drive you to your knees. And the book is huge, 592 pages. Stay away from this book. Save your money. Album covers featuring their young, pretty faces were stacked next to every stereo in every funky apartment that we inhabited from ’67 to ’75 or so. Along with the Mateus-wine candelabra, the day-glow Jimi Hendrix poster, and the not-so-discreetly-hidden roaches in ashtrays on low-rise tables, the music made by these young women—Carole King was 19 when she wrote her first big hit, Joni Mitchell 21—were part of what we carried when we moved. We scattered those album covers in plain sight and played their music almost endlessly as a way of saying who we were: young, of course, but also independent—sexually if not always financially—and decidedly not ready to enter into the world of conventional responsibility occupied by our parents. A lot of it was image and wonderfully naïve self-delusion (“attitude dancing” Carly Simon would call it in a later song), but it seemed right enough for its time. What we learn in this smart if sometimes breathlessly written book is that the music might not have happened at all. Pregnant and married at 19, Carole King was turning out hits like “Up on the Roof,” “Will You Still Love Me Tomorrow,” and “The Locomotion” in the now famous Brill Building in New York—a fairly grim sweatshop for song writing talent--baby on knee. Joni Mitchell, on the other hand, was pregnant at 21 when she was still making the rounds in the Village and in clubs around Canada. She gave the baby up for adoption, which left any number of scars, not all of them soothed when she was reunited with her daughter some 30 years later. Carly Simon, already rich pretty much beyond measure and from a family with a complicated sexual history, was a little late getting started on her own career, but she managed to have fun with just about every male star of the time that you might like to name—from Cat Stevens to Warren Beatty to James Taylor (whom she married, although not until after he had also navigated significant affairs with Carole King and Joni Mitchell while managing a fairly serious heroin addiction.) It’s gets complicated and you kind of need a scorecard. Which is part of the problem with this guilty pleasure of a book. It’s like Simon’s “No Secrets” with footnotes. We meet just about everyone these women sleep with, then the women the men slept with before, then a fade-out explained usually by a simple, “but things didn’t work out finally.” Too much information, or rather, too much information coming at you in a rush, with little time or attention paid to what is important, to what we really need to know. But if you were in your 20’s when these women were at their best—or even if you weren’t—you might want to take a look. If nothing else, the book took me back to the music, and now our iPod has a long playlist called “The Girls” which is rich with the music these three amazing artists gave us. Try humming a Beatles song. Now try humming a Joni Mitchell song. With perhaps the exception of "Big Yellow Taxi" and "Both Sides Now," it's pretty hard, isn't it? Having complex arrangments and open tunings doesn't make Joni Mitchell "better" than other musicians, but I think the fact that her songs are hard to hum is a strong testament to her mind-boggling talent with words and arrangements. This book is centered around three women who came of age in the 60s and changed music: Joni, Carole King Try humming a Beatles song. Now try humming a Joni Mitchell song. With perhaps the exception of "Big Yellow Taxi" and "Both Sides Now," it's pretty hard, isn't it? This book is centered around three women who came of age in the 60s and changed music: Joni, Carole King and Carly Simon. It combines their stories (alternating chapters and sometimes combining the three lives in one chapter) with some cultural history and feminism sprinkled in between interviews with friends and music business execs. I liked this book not because it was about musicians I admire, but because it looks at the broader context of music and how deeply it can affect people. It takes three different lives and connects them in a way that's believable, if not amazing. Anyone wondering what the fuss is about music should reconsider and start here. As cliched as the 60s are, this was a time when music meant so much. I was never a huge Carly Simon fan (though I love the lyrics to "You're So Vain") or Carole King (though "Tapestry" is lovely), but Weller really made me care so much about their lives that I felt like these three women were my friends by the end of the novel. I'm sad it's over because my friends have left me. Interest level for this book will depend on your age and personal recollections of events and music discussed. Joni, Carole, and Carly are almost a full generation ahead of me, but their music was the soundtrack for my childhood beginning around age nine or ten. Much of the info in the book went right past me, as I had no associations on which to pin it, but it's easy enough to scan past that stuff. The subtitle, "the journey of a generation," is important if you want to know what this book is li Interest level for this book will depend on your age and personal recollections of events and music discussed. Joni, Carole, and Carly are almost a full generation ahead of me, but their music was the soundtrack for my childhood beginning around age nine or ten. Much of the info in the book went right past me, as I had no associations on which to pin it, but it's easy enough to scan past that stuff. The subtitle, "the journey of a generation," is important if you want to know what this book is like. Of course, it revolves around the lives of these three fine and talented ladies, but there's so much more here. 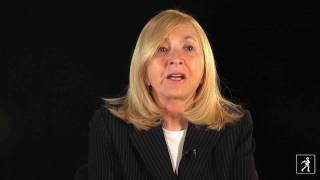 Sheila Weller has an unbridled enthusiasm for all things related to this era of social upheaval and change. She can't bear to leave out any exciting tidbits she's discovered about the people, politics, war, women's rights, arts, and spiritual searching of the '60s and '70s. This results in many footnotes and parenthetical remarks. Sometimes hard to follow, but a lot of the tidbits are interesting and help to flesh out the scene in which Joni and Carly and Carole were making their personal journeys. Weller dishes on lots of other celebrities in both the New York and L.A. arena including Graham Nash, Warren Beatty, Jack Nicholson, Bob Dylan, and Jackie O. And of course, James Taylor, who had intimate relationships with all three of these ladies. It's clear that the author put her whole heart and soul into producing this book. It's stunning to look at the interview and research information at the back of the book. She tells how, when she would get discouraged with the project, her husband reminded her, "You're writing social history." I think that's an accurate description of this big fat triple biography. Right on, Sheila! Far out! Groovy! Even though I’ve been listening to Carole King, Joni Mitchell, and Carly Simon for decades, I had no idea I would enjoy Girls Like Us so much. Sheila Weller is a pop trivia queen and had to have spent hours hunched over microfilm machines, researching the minutiae of these ladies’ lives. The interviewees go all the way back to neighborhood playmates and school chums, and the book is filled with information about the music scene starting in the early sixties, when Carole King started plinking out Even though I’ve been listening to Carole King, Joni Mitchell, and Carly Simon for decades, I had no idea I would enjoy Girls Like Us so much. Sheila Weller is a pop trivia queen and had to have spent hours hunched over microfilm machines, researching the minutiae of these ladies’ lives. The interviewees go all the way back to neighborhood playmates and school chums, and the book is filled with information about the music scene starting in the early sixties, when Carole King started plinking out the melody to “Will You Love Me Tomorrow” with her husband, Gerry Goffin, in the Brill Building. Out of the three, it's Joni Mitchell's music I enjoy the most. Her songs are more introspective and her talent can't be matched in the female singer/songwriter genre. Her song "Little Green" off her famous Blue album hinted at the baby she gave up for adoption when she was just a 21-year-old unknown named Joan Anderson, and I was touched at just how it affected her life until she finally met her daughter as a 32-year-old woman with a child of her own. The tidbits of information on Bob Dylan, Crosby, Stills & Nash, Neil Young, Judy Collins, and others hanging around at that time are just as titillating. And if you have any interest whatsoever in James Taylor, there's no need to reach for a biography on him. You'll learn more than you'll ever want to know in Weller's book, and will feel for Carly Simon and what she went through during her marriage to this heroin addict. Girls Like Us and Alice Hoffman's newest book duked it out on my nightstand every night for weeks, and more often than not the Girls won the fight. The selling Point: A groundbreaking and irresistible biography of three of America's most important musical artists -- Carole King, Joni Mitchell, and Carly Simon -- charts their lives as women at a magical moment in time. (view spoiler)[Blurbs: Carole King, Joni Mitchell, and Carly Simon remain among the most enduring and important women in popular music. Each woman is distinct. Carole King is the product of outer-borough, middle-class New York City; Joni Mitchell is a granddaughter of Canadian farmers; and Carly Simon is a child of the Manhattan intellectual upper crust. They collectively represent, in their lives and their songs, a great swath of American girls who came of age in the late 1960s. Their stories trace the arc of the now mythic sixties generation -- female version -- but in a bracingly specific and deeply recalled way, far from cliche. The history of the women of that generation has never been written -- until now, through their resonant lives and emblematic songs. These women were groundbreakers in writing then singing about women's sexuality, feminism, peace, so why is this such a smarmy, tupperware kissing bio? 3.5 stars. Really enjoyed reading this book, though I felt it could have used some editing. The author did exhaustive research and gives an in-depth portrayal of the lives and fortunes of these three women, relating their histories to the zeitgeist of the 60's and 70's. I was inspired to go back and listen to more music by these three singers, none of whom I know very well. - I learned to appreciate Carole King as an incredible songwriter. I had no idea she (together with her then-husband) was th 3.5 stars. Really enjoyed reading this book, though I felt it could have used some editing. The author did exhaustive research and gives an in-depth portrayal of the lives and fortunes of these three women, relating their histories to the zeitgeist of the 60's and 70's. I was inspired to go back and listen to more music by these three singers, none of whom I know very well. - I learned to appreciate Carole King as an incredible songwriter. I had no idea she (together with her then-husband) was the composer of "Crying in the Rain", "Natural Woman," and "Will You Love Me Tomorrow" (among many other hit songs). I also loved reading about how hard she worked as a musician when she had young children, the first of which she had at age 17. It was inspiring to read about someone who managed to have such a full and creative life while also being a mom. - Learned a little more about cross-racial musical influences in the 50's, 60's, and 70's - I had always thought it was more of a one-way cultural appropriation street, with white musicians borrowing styles and songs from African Americans and enjoying greater commercial success. This book showed a little of how it was more complex than this - e.g. many African American recording artists became famous for interpreting songs by white songwriters. I'm curious to learn more about the nature of cross-racial collaboration and/or exploitation in music during this era. - It was refreshing to hear about women unapologetically taking advantage of their sexual freedom. Wow, these women really got around! I've heard a lot about how the sexual revolution benefited men more than woman, and although this book definitely explored the double standard and the ways in which women could have more negative consequences from their sexuality than men, these three musicians all played the field. I have to say that in some ways, it feels like we've gone backward in the current era - it's hard to imagine a female celebrity today who wouldn't be castigated for sleeping with as many men as these women did. - Hearing some stories behind some of the songs (like Joni Mitchell's "Little Green," about a child she gave up for adoption) makes me enjoy them in a different way. - James Taylor really was the tortured heartthrob back then. I admit by the time I was growing up, he was an "oldie" singer of music on the "light rock" stations. I had no idea he was apparently so hot. To hear this author tell it, Carly Simon has never gotten over him. "Did you know _________ wrote ________ song about __________?" "Did you know _________ slept with __________?" At times the writing was overwrought and overly dramatic. And there was an excessive use of the future conditional tense, along the lines of: "In just a few years she would write a song about him, a song that would become the anthem for young women who would listen to it on their radios and would hear their own struggles reflected in it..." You get the idea. I should begin this review by confessing some shocking ignorance. I am not in the right age group to be the prime demographic for this book. I was a young woman in the Big 80s and those times were vastly different from the heyday of Carole, Joni and Carly's music. The earth mothers had donned power suits and the free love had given way to a darker and more paranoid era sexually. The First Wave had already happened and women my age were told we could "have it all". Although we firmly believed thi I should begin this review by confessing some shocking ignorance. I am not in the right age group to be the prime demographic for this book. I was a young woman in the Big 80s and those times were vastly different from the heyday of Carole, Joni and Carly's music. The earth mothers had donned power suits and the free love had given way to a darker and more paranoid era sexually. The First Wave had already happened and women my age were told we could "have it all". Although we firmly believed this, not a few of us were daunted and even conflicted by the high expectations that we would "bring home the bacon and fry it up in the pan." This was the era of Superwoman. My musical memories of Carly Simon, Joni Mitchell and Carol King mainly take place in the car where their songs were featured in heavy FM rotation during my childhood. As the scalding pleather of the bench seat in the big floating mid 70s car scalded my terry cloth or polyester shorted bottom, I might hear Anticipation, Up on the Roof or You've Got a Friend...Frankly, it sounded like music for grownups who liked to talk about relationships a lot and I was not ready for that yet. And, by the time I was ready, I tended to gravitate toward male singers (preferably depressive and gay) when I wanted to wallow in relationship drama (It was the eighties, remember?) The consciousness raising righteous mamas of my early childhood would have probably shuddered to see me take refuge in Sinatra (the 80s were a big era for the Rat Pack retro that these women fought against so tenaciously) and gin when some guy kicked me to the curb rather than a sister who could relate to my pain. So how does an ignoramus who mainly remembers Carly for the song in the ketchup commercial and who, for years, confused Carole King with Carole Kane (Andy Kaufmann's ditzy wife Simka in Taxi) get to this book? It may be because my daughter has recently discovered Carly from her soundtrack work in some Winnie the Pooh movies. My preschooler really likes her songs! Or it might be my general interest in music history. It may be the pull of distant childhood memories as my own daughter is now the age I was in 1969/70. Or, it may be that these 3 women seem so cool...so real...and so interesting to me now that I am middle aged. This triumverate of female singers present a genuine face. It was still about the music and their very personal relationship to crafting songs. Compare this to someone like Madonna who must reinvent herself constantly on the external side. I have learned a gold-mine of information about the era and the impact Carole, Joni and Carly had. This is a highly detailed book and you practically need to take notes to keep all the inter-relationships between the cast of rock luminaries featured within. Between them, these three women knew everyone who was anyone in the music scene as it was exploding in the 1960s and 1970s. If your interest extends to a desire to "know all" you will not be disappointed. I won't suddenly relegate all my Morrissey and Bauhaus CDs to the scrap heap...I am what I am and the soundtrack to my life is on a different trajectory than someone who was 20 the year I was born. But, this book has prompted me to take a new listen to some vaguely remembered songs and, perhaps, appreciate them more this time around. 2. Odd and frequent use of footnotes -- unless you think your book will remain in print 500 years, there is no need to explain what a "baby boomer" is, for example. Other footnotes could easily have been integrated into text, or just omitted; the author seems to have included every fact uncovered in her research (the drummer for these sessions was X, whose stepbrother was later hospitalized with schizophrenia........) without reference to whether it actually advances the main narrative. 3. Absurdly long sentences in which she tries to smuggle in more ideas or qualifiers via prolific hyphenation (in her ladies-of-the-canyon long dress, she spoke severely to the never-trusted I'm-just-a-vagabond guitarist with a kind of no-secrets-between-old-friends knowingness.......). Whoever edited this book should return the paycheck. 4. Not a real music critic. She dutifully lists every album and some song titles from it, along with its Billboard chart rating and maybe a quote from a review, but does not seem to have any independent insight into rock or folk music. Stayed In Bed All Morning . . .
. . . just to finish reading this book. It's a long one, especially when you devour each little word contained in the many footnotes, but worth every hour spent. Reading this thorough, well-researched, and respectful biography of three notorious singer-songwriters, Carole King, Joni Mitchell and Carly Simon, from their days as young, aspiring artists to current days as grandmothers, was like listening to their music for the first time again. I couldn't help but bre Stayed In Bed All Morning . . .
. . . just to finish reading this book. It's a long one, especially when you devour each little word contained in the many footnotes, but worth every hour spent. Reading this thorough, well-researched, and respectful biography of three notorious singer-songwriters, Carole King, Joni Mitchell and Carly Simon, from their days as young, aspiring artists to current days as grandmothers, was like listening to their music for the first time again. I couldn't help but break out my vinyl, stored in a moving box in the attic. Sheila Weller clearly spent years gathering facts, information and quotes from those closest to these icons, (and in some cases from the women themselves), and braids the three stories together to paint a historical account of modern folk/rock/pop music. She doesn't merely regurgitate already published material from music reviews and Rolling Stone articles, but instead offers similarities and differences that made this reader appreciate the subjects as individuals as well as their contributions and reflections on the women's movement in general. A surprising ribbon running through this braid is James Taylor, who had profound yet differing relationships with all three. What also ultimately struck me about the book was how deeply interested I was at the beginning and how it merely passed the time toward the end. I think it's a direct reflection on the careers of these women: exciting, fresh, ultra-talented in the beginning. . .but in the end, it becomes a biography of ordinary--albeit ambitious--women who've led extraordinary lives while looking for love and fulfillment, and endured tremendous public scrutiny. One thing the critics in our society can't take from them is their recorded music--their true biographies--and I, for one, will listen to them sing for the rest of my life. This was one of the most interesting biographies I have read about anyone in the entertainment field. First, I am a big admirer of their music - my late teens and college years were filled with Carly, Carole & Joni music. I don't know what the author had to do to get the cooperation that she got for this book, but she definitely got the inside look at these 3 women. I'd be interested in hearing what C, C & J think of the book. It really put their lives out front and in center - the good, This was one of the most interesting biographies I have read about anyone in the entertainment field. First, I am a big admirer of their music - my late teens and college years were filled with Carly, Carole & Joni music. I don't know what the author had to do to get the cooperation that she got for this book, but she definitely got the inside look at these 3 women. I'd be interested in hearing what C, C & J think of the book. It really put their lives out front and in center - the good, the bad, the embarrassing! But I have to say, I gained a lot of respect for all of them for their struggle in making it as serious successful songwriters at a time when the music business was dominated by males. Of the three, I think Carole probably showed the most strength and character with her struggle as a working mother taking care of her children and a mentally unstable husband. I really wanted this to be better than it was. I love all 3 singers & Joni Mitchell, in particular, has been an off and on soundtrack in my life, but this book just didn't live up to its potential. Weller can't seem to decide whether she's writing a social history of these women & their times or a gossipy tell-all potboiler. The book careens between these two choices & does neither well. There's interesting material buried in here & in all 3 life stories. In particular the challeng I really wanted this to be better than it was. I love all 3 singers & Joni Mitchell, in particular, has been an off and on soundtrack in my life, but this book just didn't live up to its potential. There's interesting material buried in here & in all 3 life stories. In particular the challenge of living outside the box, of successfully navigating a career in a challenging field & maintaining relationships with others. It's easy to forget how different times were for women then - how much more limited the choices were. I just finished listening to this book for the second time in less then two weeks. I have it on my iPod. Anyone that knows me knows that I love to read and listen to books. I love movies, but most importantly I love music. It has been a passion of mine for as long as I can even recall having memories. The first concert I ever went to was James Taylor. I still love this man's music....it should then come as no surprise to anyone that I also love the music of Carly Simon (James' ex wife and the mo I just finished listening to this book for the second time in less then two weeks. I have it on my iPod. Anyone that knows me knows that I love to read and listen to books. I love movies, but most importantly I love music. It has been a passion of mine for as long as I can even recall having memories. The first concert I ever went to was James Taylor. I still love this man's music....it should then come as no surprise to anyone that I also love the music of Carly Simon (James' ex wife and the mother of two of his kids), Carol King, (his friend and former girlfriend) and Joni Mitchell (responsible for bringing CSNY together and some of the best songs ever written). First -- these are certainly not the only wonderful women song writers that were already writing great music before I was born. Second -- just because I think these woman are amazing, does not mean I would like a book written about them. Third -- I love the NY Times book review attached, but I am not sure I agree with all its content. So with that said, here is what I think about this book. It is an amazing amount of information about truly interesting, talented and in many ways, fragile people. It goes back and forth between the life stories of these three ladies. This results in a book that is very interesting. I enjoyed comparing what was happening at about the same time for these woman. However, it also goes back and forth in time frames. That made the book difficult to follow. The book also quotes the lyrics of many of the unforgettable songs penned by these ladies while talking about their lives. That made the book just plain silly. Lastly, way too much time is spent on the details of each ladies' loves and losses. I would have loved more insight into their minds, hearts and souls. Either way -- PLEASE ENJOY THE BOOK. I hope it reminds you of the wonderful music created by the Girls. I loved this book, couldn't out it down. I remember listening to Joni and Carole (Carly less) constantly in high school, but until I read this book I hadn't actually thought of how their very personal, biographical music led me into womanhood, esp. Joni, my all time favorite. Weller does a great job showing how these women were the soundtrack to our rapidly changing lives in the late 60's, early 70's, trying to figure out how to fit into relationships with men while still maintaining our freedom I loved this book, couldn't out it down. I remember listening to Joni and Carole (Carly less) constantly in high school, but until I read this book I hadn't actually thought of how their very personal, biographical music led me into womanhood, esp. Joni, my all time favorite. Weller does a great job showing how these women were the soundtrack to our rapidly changing lives in the late 60's, early 70's, trying to figure out how to fit into relationships with men while still maintaining our freedom to make our own choices in life. These women were in and out of so many love affairs and marriages it was hard to keep track of them all through the book, but Weller shows us what a struggle they each had with success and love. Of course, I know this book is really only about the passage for white women a that time, and that made me start thinking about my age group (just turned 60) as a whole. What happened to African-American,Latina and Asian women during this time? I started thinking about all North American women my age, rather thqn white women my age, seeing us as a broad spectrum of experience. I see on Goodrreads there are books about other ethnic groups with similar titles and I hope some of them are about those of us just entering our "golden" years. A fun read for the last 250 pages or so, unfortunately, this book is over 500 pages. My advice, skip the first 200 pages or so. The pop psychology of their childhoods is less interesting to me than what is behind their music, the connections between the three of them, and, without a doubt, the gossip of who slept with whom and who the songs are REALLY about. The author is not a great writer, but the book is thoroughly researched and documented. I’ve never seen so many footnotes in a music biography! This is a nice, light, summer read. Whelp . . . whew this book is long. But how could it not be? It's subject is two of the greatest American songwriters, ever -- Carole King and Joni Mitchell -- as well as Carly Simon, the three of whom were at the center of the singer-songwriter experience of the late 1960s/mid-1970s. The book is packed with stories and facts and is well written. There's a lot of great stuff in the footnotes: For instance, who would have known that Carly Simon asked everyone in her band to spank her before an ap Whelp . . . whew this book is long. But how could it not be? It's subject is two of the greatest American songwriters, ever -- Carole King and Joni Mitchell -- as well as Carly Simon, the three of whom were at the center of the singer-songwriter experience of the late 1960s/mid-1970s. The book is packed with stories and facts and is well written. There's a lot of great stuff in the footnotes: For instance, who would have known that Carly Simon asked everyone in her band to spank her before an appearance before Bill Clinton, so that she'd focus on her pain rather than fall into one of her episodes of stage fright? In a lot of ways, this is a book about how marriage changed (and frequently didn't change) for women with creative and, quickly, economic power. It's kind of a counterweight to the mainstream history of social changes in the 60s and 70s focused on creative women and their families -- constrained, of course, by their incredible privilege (particularly for Carly Simon). While these women had some great relationships, they also ended up in pretty dismal patterns of successive uneven partnerships where the egos of their non-star spouses tended towards emotional erosion. It really seems that the men couldn't figure it out. The stars involved with them (James Taylor, Jackson Browne, etc.) show little emotional depth in the book; nothing really redeems Taylor's years of addiction, and post recovery there's not a lot there, according to Weller. I think the book is pretty frank about its subjects, and doesn't hide their many flaws. Over the entire book, I'd say that King comes out at the end as the most successful person because she found a cause: environmentalism. Mitchell has so much flakiness in her life, I was repeatedly aghast, wishing that she could find a way to make a huge impact with her art again. Simon's story has such pain: Her stage-fright and panic attacks: She really suffered. The author, Sheila Weller, did an exceptional job of investigation for “Girls Like Us: Carole King, Joni Mitchell, Carly Simon—And the Journey of a Generation.” I’m giving her book five-stars based solely on her research and excellent writing. The documented and verifiable stories about Carly, Joni, and Carole (and those in their circle of friends, including James Taylor) was like rubbernecking at a car wreck. I’m far enough behind them in age that I simply didn’t realize the extent of drug usage The author, Sheila Weller, did an exceptional job of investigation for “Girls Like Us: Carole King, Joni Mitchell, Carly Simon—And the Journey of a Generation.” I’m giving her book five-stars based solely on her research and excellent writing. The documented and verifiable stories about Carly, Joni, and Carole (and those in their circle of friends, including James Taylor) was like rubbernecking at a car wreck. I’m far enough behind them in age that I simply didn’t realize the extent of drug usage and sexual promiscuity (with ANYone and EVERYone that was available, and many times with people who were married). Venereal disease was rampant, but kept under control with prescription medication. Death from overdose in their circle of friends was on the rise as well. Well, I finally finished this book up over the past weekend. I really enjoyed a lot of the nuggets of information that I hadn't really known of before. I surprised myself by really enjoying the Joni Mitchell story the most. I now have a greater appreciation for this songbird. The book is written in great detail and is thoroughly enjoyable. The only part I didn't like is the ending, it was just abrupt! LOL! Absolutely could not get into this book even though I love the ladies involved. Could not finish it! 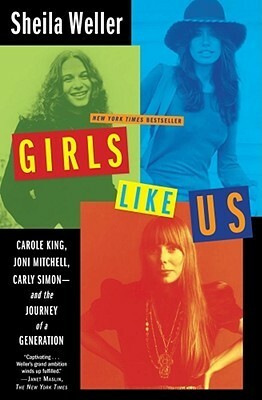 Girls Like Us: Carole King, Joni Mitchell, Carly Simon--And the Journey of a Generation has been on my bookshelf since last Thanksgiving. When I saw it in my local indie bookstore, I couldn't resist it: colorful cover and promises of inside info on Joni Mitchell. Even though Joni Mitchell's music was more popular when my mom was young, I love her. I think she, Linda Rondstadt, Peter, Paul and Mary, and Simon & Garfunkle just sank into my brain along with the amniotic fluid before birth. My p Girls Like Us: Carole King, Joni Mitchell, Carly Simon--And the Journey of a Generation has been on my bookshelf since last Thanksgiving. When I saw it in my local indie bookstore, I couldn't resist it: colorful cover and promises of inside info on Joni Mitchell. Even though Joni Mitchell's music was more popular when my mom was young, I love her. I think she, Linda Rondstadt, Peter, Paul and Mary, and Simon & Garfunkle just sank into my brain along with the amniotic fluid before birth. My parents even had Simon & Garfunkle on vinyl. Now that's cool. When I was a kid, having albums on vinyl was a sign of hoarding and resisting the lure of CDs for as long as possible. Okay, enough with dating myself with media. Uh hem. It is a triple threat,triple biography about Carole King,Joni Mitchell and Carly Simon - I wanted to read it for a long time but of course sailing around South Africa didn't help much so I couldn't believe when I found it by accident in some discount-books corner in Amsterdam,the book was simply waiting for me there and I didn't have to go through the whole internet order process. It was very interesting and Weller had certainly done her research job carefully - she asked these ladies for permiss It is a triple threat,triple biography about Carole King,Joni Mitchell and Carly Simon - I wanted to read it for a long time but of course sailing around South Africa didn't help much so I couldn't believe when I found it by accident in some discount-books corner in Amsterdam,the book was simply waiting for me there and I didn't have to go through the whole internet order process. It was very interesting and Weller had certainly done her research job carefully - she asked these ladies for permission to talk to their friends rather than to them (Simon was the only one who actively participated) - and not only there are hundreds of little stories and anecdotes about background of our favorite songs and albums,but she also cleverly connects King,Mitchell and Simon into (ahem) tapestry that at the same time reflects particular time when 1960s turned into 1970s and the whole social atmosphere. Surely,each of them was unique in her own way and each of them had her own share of troubles in beginning - King forever pregnant and balancing family and career,Mitchell hiding her real troubles behind artistic,icy persona,Simon being simply pushed around by guys in music industry who dismissed her because of her privileged background & attractive looks. So far,so good - when book explored ladies beginnings and background,it was simply a matter of good research. But once they become successful,author unfortunately started to focus too much on lovers,husbands and love lives. While I understand that there is a huge audience who is interested in this,I found it a bit narrow-minded: I wouldn't mind some seriousness instead of backstage gossip and laundry list of lovers & husbands,no matter how fascinating they might be. At certain point I even became a bit bored with all this,it sounds better suited for "Vanity Fair" article (which eventually it was,abridged) than as a book. It became almost like Weller was more interested in husbands than into ladies themselves, I couldn't wait to finish the book and get over with it. Somewhere along the way music and art were pushed into background and what was supposed to be background became main focus - we got to know every man Carole King ever slept with but her music was rarely (if ever) discussed. I really wanted to like this book, mainly because I like the music these women have created over the years. But unfortunately, I'll have to settle for continuing to like just the music. Have you ever read a biography that shared so much information that you just didn't want to spend any more time with the subjects? This book is like that. Of course it is partly the times, but there is a lot of bed-hopping, and a lot of lousy choices for partners. One area where the book worked, was pointing out I really wanted to like this book, mainly because I like the music these women have created over the years. But unfortunately, I'll have to settle for continuing to like just the music. Have you ever read a biography that shared so much information that you just didn't want to spend any more time with the subjects? This book is like that. Of course it is partly the times, but there is a lot of bed-hopping, and a lot of lousy choices for partners. One area where the book worked, was pointing out that these women were leading the pack of girl-singers with their achievements, and many, many men could not handle that. Actually, the fans were fickle too. It was just not easy for these women to make inroads and then stay there, in this field. One aspect of the book that I find unrealistic is that while each of these women had drugs all around them, we are led to believe that they themselves never or very rarely used the stuff. Somehow that doesn't ring true to me. If you are going to write a thorough biography, why would you ignore the possibility that these women might have gotten high at times. The author certainly tells all with regard to their mates, such as James Taylor's heroin addiction or Gerry Goffin, Carole King's husband's use of a variety of substances. But maybe the author chose to leave this information alone, and not make the women any more unlikable. Her sixth book was the critically acc Sheila Weller is a bestselling author and award-winning magazine journalist specializing in women’s lives, social issues, cultural history, and feminist investigative.